Check out my article on Terrapin's new brewery at Braves' SunTrust Park! The new beer website October shows Georgia love! Since October (Oct.co) launched last month, my first assignment with them was to cover their dope launch party in Charlotte featuring Run The Jewels ,and their brewing collab with Interboro and Burial here. Well, my second one is this piece on Terrapin having their own Taproom and microbrewery called the ATL Beer Lab at The Battery Atlanta. I have been following Terrapin for a long time and had a ball writing this one up. 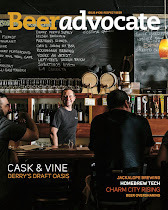 Interviewing the co-founder and brewmaster Brian "Spike" Bucowski certainly made it fun as well. 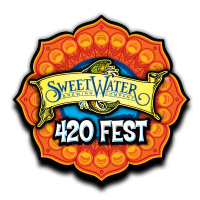 By the way, they brought on two more standout talents—ATL Brew Lab Head Brewer Chad Martin (formerly of SweetWater) and Brewmaster Peter Trapani who used to be with Sierra Nevada! It is a huge move for Terrapin and keeps craft beer drinkers happy when attending the game or chilling at the very festive Battery ATL. In fact, I am heading there tonight for the grand opening of another Battery edition, Sports & Social. From what I saw a week ago when they were still building it, it is going to be amazing! Look for more of my articles on October soon. Get a seat at the Farmer Fund Dinner with Creature Comforts and Saltyard! Once again it's on! Last year's sold out and it was awesome! Eat for a great cause this Thursday in support of the Farmer Fund but hurry because the seats will sell out! After gawking at the GANGSTER Creature Comforts beer list paired with the culinary genius of Chef Nick Leahy, this is going to be an awesome dining and sipping experience. I have done numerous tasting events with "Slick Nick" like this one and he takes things very seriously when it comes to pleasing his audience. Of course, Saltyard is one of the best restaurants in the South and Creature out of Athens is celebrating their 3rd birthday this weekend, so you know they will be in a happy mood. Basically, it's a no-brainer situation, so come through! 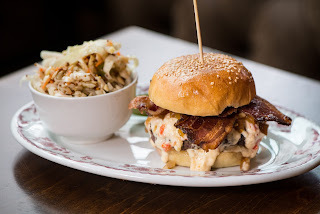 Cruisin’ Correspondent Alan Fowler gets his ‘Prost’ on at downtown’s German-inspired hot spot! My homey and Cruisin’ For A Brewsin’ correspondent Alan Fowler holds down Atlanta for me while I’m on the road, and downtown’s Der Biergarten showed him love. Down the street from Stats, College Football Hall of Fame, Centennial Park, Georgia Aquarium, and the Hawks’ Phillips Arena to name a few attractions, Der Biergarten is one of the most authentic German biergarten experiences in Georgia. Well now there’s their Stein Club to get us through the warm months and Alan checked it out to see what it entails. Check him out. My man Stephen Oakey took the photos. There are lots of clubs that people can join, including book, sports, fitness, and cooking clubs. However, none of them would come close to satisfying life's needs in the way Der Biergarten's Stein Club does. 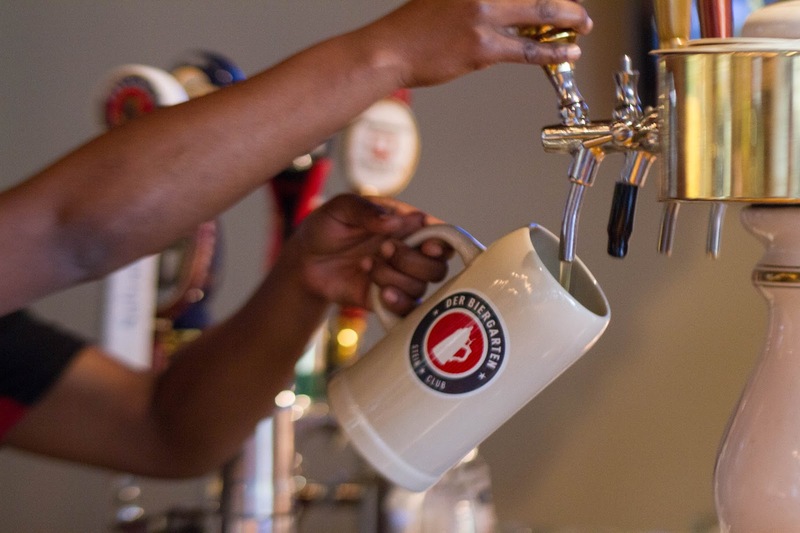 The Stein Club provides its members with endless $8 liter drafts every time they visit. Each draft is poured into an exclusive, European-made, members-only stein that is kept safely behind the bar while not in use. Trust me, the Stein is a thing of beauty; even more so when it is overflowing with authentic German suds that await consumption by eager beer drinkers basking on the festive outdoor patio underneath the ATL skyline. Der Biergarten serves up the finest in German suds on draft, with new beers being rotated constantly so that Stein Club members will always have a reason to stop by and have a taste. As mentioned, but worth another reminder, that every liter poured for Stein Club members is only $8 (aside from the high gravity beers). 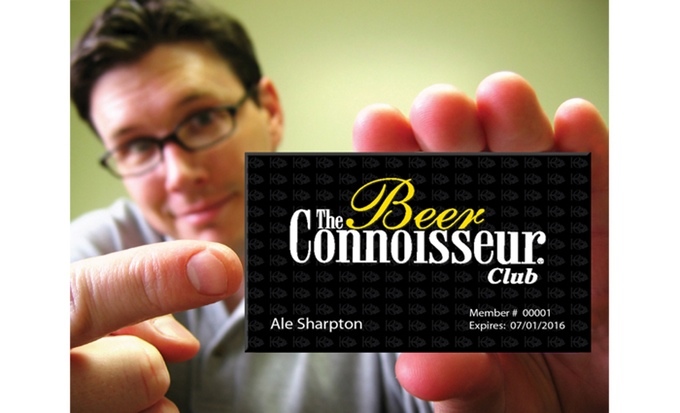 For those well versed in beer economics, it is easy to see that the savings can really add up, and the more you drink, the better the value. Stein Club members also receive VIP invitations to special events throughout the year and 20 percent off all retail merchandise. Der Biergarten truly is a gem amongst the Atlanta beer scene. They provide a taste of Bavaria right downtown not only with the beer, but also with their food and overall atmosphere. It is a great place to catch a game, check in after work, or just stop in for an afternoon and relax. 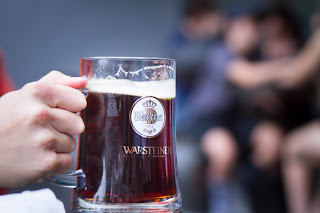 Evidently, Der Biergarten is made even better when you are a Stein Club member, so be sure to check out this link and join up! For more Stein Club info, click here. Yo! 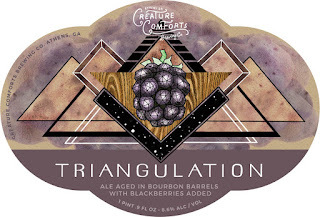 Check out the new Creature Comforts Triangulation! 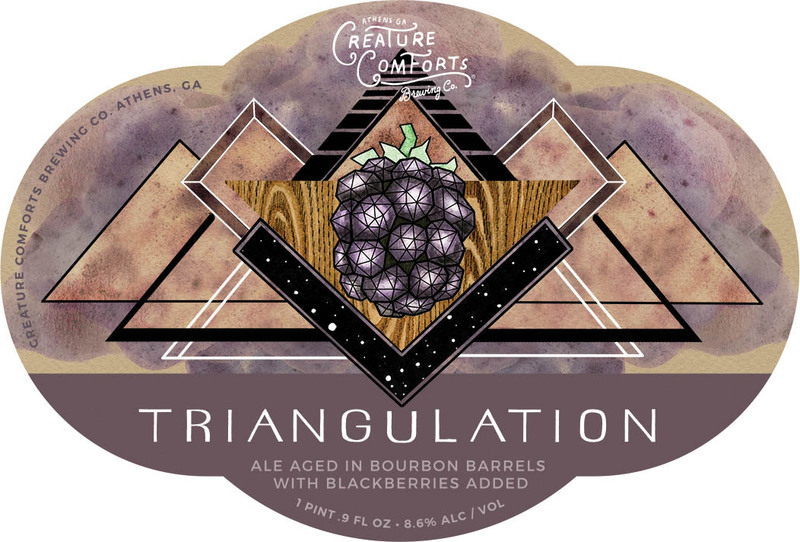 This is their new bourbon barrel-aged mixed fermentation ale with blackberries. Say whaaat? The dope label is designed by Creature Comforts Tour Staff member Melissa Merrill using watercolor. Killin' it! Anyway, I am at the Craft Brewers Conference in DC. 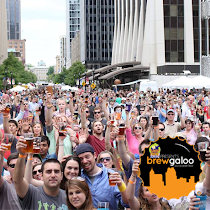 I will be kicking it with them and the rest of the hundreds of breweries through Thursday! Stay tuned for my gangster coverage. 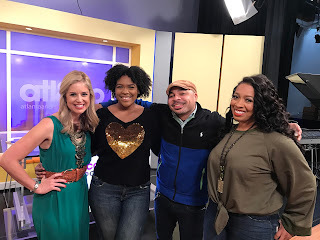 Guest Writer Alan Fowler reports on three live shows going on in ATL tonight, Saturday, April 8th! Say hello to The Zombies, Robert Lee Coleman, and Cody Marlowe. They will be at a trio of historic venues, including Variety Playhouse, Northside Tavern, and Eddie’s Attic! Again, a shout out goes to Alan and his pen game. He did a great job as you can see below. Look for more contributions soon! The Zombies are one of the most influential bands of the second half of the 20th century. Although they did not receive the comparable stardom of bands with similar styles of the same era, their relevance today is a testimony to their pioneering creativity. Their show at Variety Playhouse on Saturday is a chance for ardent followers of the band, as well as relative newcomers to immerse themselves in the sound and aura of what Rolling Stone pegs as the 100th Greatest Album in their Top 500 Albums Chart. 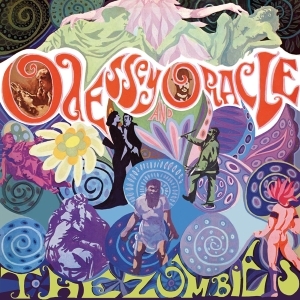 The Odessey and Oracle album has influenced bands and artists from a multitude of genres since its release. The Zombies claim this will be their last tour supporting the release, so if tickets remain available, it would be wise to grab them. Judging on reviews of previous tour stops, The Zombies' performance of the album has not lost one bit of its original mystique and has even elevated the status of some of the songs through the use of subtle arrangement variances and the inevitable influences of passing time. Attending this show should be considered a once-in-a-lifetime opportunity to hear musical genius that transcends time and place. To learn more, and explore ticket options, visit the Variety Playhouse website (variety-playhouse.com) @VarPlayhouse @TheZombiesMusic. 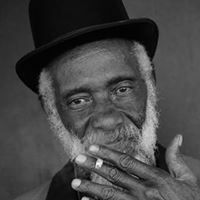 Robert Lee Coleman is a Georgia music stalwart, perhaps most known for his roles supporting legends such as Percy Sledge and James Brown. But Coleman, a Macon native, is pretty damn capable as a frontman as well. Coleman and his former backing trio (known as the Night Owls) have only recently amicably split up to each pursue new ventures. Coleman is now playing with new members under the moniker of "RLC." You can catch Coleman and his new group this tonight at Northside Tavern. The show starts at 10 pm and can be expected to last until 2 am. Tickets are $10 and can be purchased at the door. In an ode to the legend and pioneering spirit of Chuck Berry, here is a video of Coleman covering the genre shattering tune of "Johnny B. Goode." 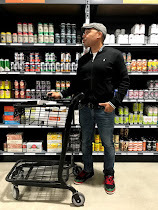 Marlowe is a seasoned veteran within the Atlanta music scene, having joined forces with numerous musicians in a variety of styles and genres over the past half dozen years during his time in the city. His upcoming gig will be accompanied by his backing band and will be preceded with an act from Country Rock/Folk singer-songwriter, Austin Coleman. 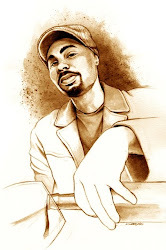 Marlowe has always been known to craft heartfelt lyrics that penetrate the emotional surface of a variety of life's experiences (most notably love and love lost), and pairs those lyrics with melodies that illuminate his blues and rock influences. Sample some of his tunes at codymarlowe.com. For more information, and to purchase tickets, visit Eddie's Attic, and follow them at @eddiesattic and @CodyMarlowe. 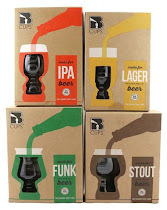 We kicked it for National Beer Day on NBC’s Atlanta & Co.! Cara Kneer, Jade Hall, and Nyssa Green! This morning, it was Sublime Donuts, Hampton + Hudson, Atlanta & Co., your homey Ale, and a gang of beer! Even with the numerous plane cancellations and plane delays leaving Memphis last night, I still made it imperative to not miss this morning’s segment with the always fun talk show on NBC affiliate 11Alive which ushers in Atlanta’s weekdays with humor and news 11 am-1230 pm, Atlanta & Co.! 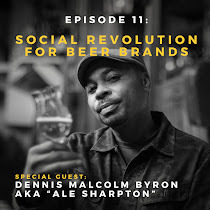 In honor of celebrating National Beer Day (which I wrote about here), they invited me to come through and talk about this monumental day’s history, pour some beers, maybe pair it with something. Well hell, I said sure because I know a few breweries, plus I wanted to bring in a different theme regarding the vittles. Hence, I hit up the gangster donut spot called Sublime and one of my favorite hangouts, Hampton + Hudson (who I juuuuuuust featured on this blog here), and made it a dessert fest! Hampton has an awesome "Woopie Pie" made with house beer marshmallows, and Sublime is simply flawless with those doughy Os, so there you go! 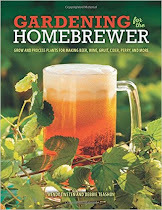 Mouths were drooling, I had a blast pouring beer for host Cara Kneer, and overall loved every minute! The breweries I featured included Creature Comforts, Burial, Wicked Weed, Bells, 21st Amendment, Great Divide, Lindemans, and Catawba. So that I won’t spoil it, here is the segment. 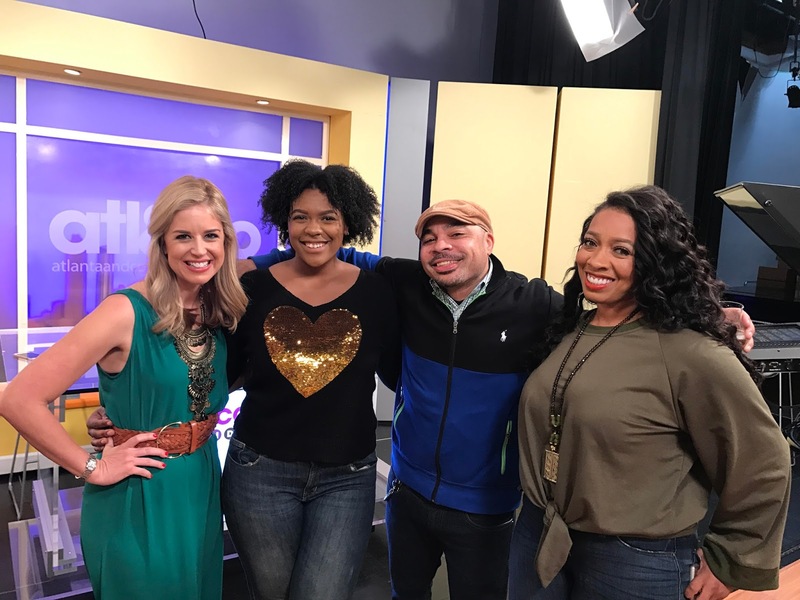 Shout out to producer Jade Hall for making it happen, regular personality Tom Sullivan, Nyssa Green, and the entire staff! Happy National Beer Day homies! Meet Hampton + Hudson’s new Executive Chef Savannah Sasser! New Executive Chef Savannah Sasser plans on making us drool! Although I am still regrouping from doing some Cruisin’ For A Brewsin’ in Memphis this past week (see some of my kicking it on my Instagram hashtag #cruisinforabrewsinmemphis), but I couldn’t wait to tell you about one of my favorite restaurants making a serious power move. My favorite husband and wife restaurant team—Hampton + Hudson’s Billy and Jenn Streck—just signed a super talented executive chef and butcher named Savannah Sasser. She was formerly with Twain’s Brewpub in Decatur, but now is blessing Inman Park’s bustling restaurant scene with her skills. Below is the official press release along with more pics from Caren West PR. Make sure you check Hampton out! I dig it! They have a dope beer selection, too. Restaurateurs Billy and Jenn Streck are excited to announce that Savannah Sasser has been tapped as the Executive Chef for Hampton + Hudson - a community driven bar and restaurant located in the heart of Inman Park. 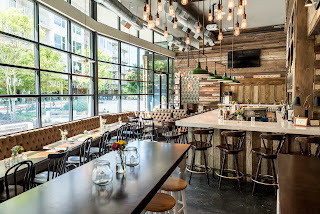 Formerly with Twain’s Brewpub & Billiards, Sasser, a celebrated chef and butcher, brings a wealth of experience to one of Atlanta’s hottest haunts. A Georgia Crown Chef and an active member of the La Dames d’Escoffier International Atlanta Chapter, Chef Sasser has introduced a spring menu featuring an array of new items, including more vegan options, along with her creative spin on signature favorites. With a diverse range of options for all tastes, from sharable starters, salads and daily flatbreads to bountiful entrees and decadent desserts, immediate standouts on the new menu include: house-made Pasta of the Day; Fresh Market Fish Daily; Cured Salmon Deviled Eggs – house cured salmon, cucumber relish and dill; Bee’s Knees Burger - Brasstown beef burger with H+H smoked pimento cheese, pickled green tomato chutney, H+H bacon cut and cured by Sasser, and a Ratio Bakery sesame bun; Vegan Spring Vegetables and Dumplings - compressed carrots, peas, fiddlehead ferns, and foraged mushrooms; and the vegan fava bean and quinoa burger - curry fried Brussels sprouts, lemon aioli, Pure Abundance cashew cheese, and a sesame seed bun. Charcuterie lovers will delight to see Sasser has introduced the H+H Board, which boasts duck pastrami jerky, sour cherry mustard, chicken liver pate, Vidalia onion compote, smoked pickled vegetables, and H+H cheese straws. New takes on signature offerings like the Charred Octopus, Hampton + Hudson Hot Chicken Biscuit Sliders, and Hangover Fries are also sure to impress. Finally, inspired by fun, childhood comfort food, desserts like the new vegan Banana Pudding, Sasser’s house-made H+H Whoopie Pie, Jess’s Cobbler and homemade ice cream sandwiches that change daily are ideal endings (or beginnings) to any meal. To compliment the new menu, imbibers can also sip on spring cocktails that play to the season. Additions to the already extensive craft beer, wine and classic cocktail options now include: Exquisite Corpse – Broker’s Gin, Cocchi Americano, lemon, basil, and absinthe; Below Sea Level - George Dickle No. No. 8, pure cane syrup, Peychaud’s Bitters, and 1821 Spicy Creole Bitters; Kentucky Castro - Four Roses Yellow Label, Demerara syrup, lime juice, mint, topped with soda; Fancy Talk - Cathead Honey Suckle Vodka, seasonal fruit syrup, lemon, prosecco; and Like a Glove - Blackwell Rum, lime, ginger shrub, fresh pineapple puree, 1821 Spicy Creole Bitters, float Decanter Bitters; cucumber garnish, and more. With two cocktails always on draft, Hampton + Hudson now has the Ripe and Ready Gin and Tonic and the H&H Old Fashioned. Finally, named after the local neighborhood dog (and regular), Ruby, coffee lovers can enjoy the Ruby White coffee cocktail made with Banjo Cold Brew nitro coffee, cognac crème de cacao, triple sec, cream, and chocolate bitters. "Savannah is a great addition to our H+H family. She is passionate, creative, talented and shares our sentiment about being community driven. We are so happy to have her as a part of our team, and we can’t wait to see what we can do together,” says Billy Streck. Hampton + Hudson serves lunch, dinner, late night snacks and weekend brunch. The new lunch and dinner is now available. 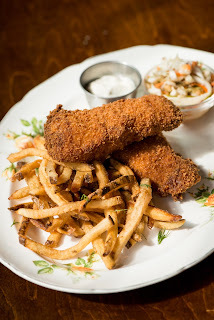 For more information and to see the full menus, visit www.hamptonhudson.com. 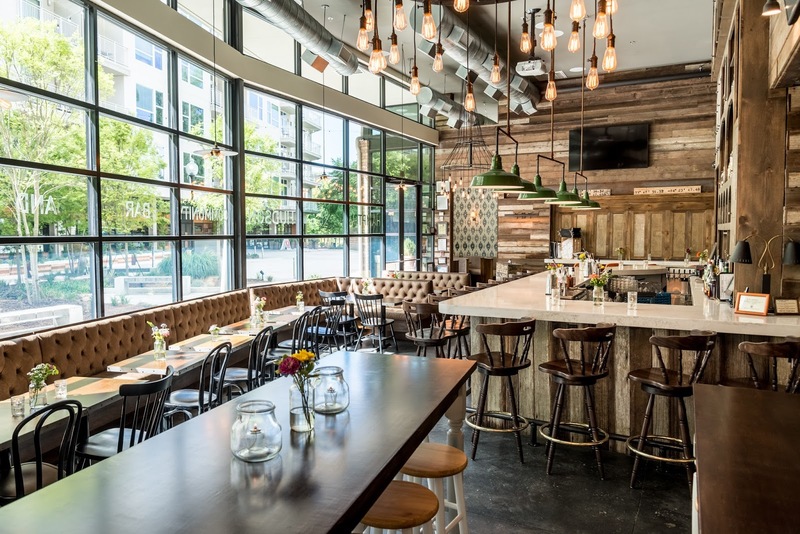 Restaurateurs Billy and Jenn Streck opened their first solo concept, Hampton + Hudson, a community driven bar and restaurant, in Inman Park in May of 2016. Together the two are created a distinct neighborhood bar and restaurant that focuses on the overall experience, redefines how diners look at pub food, and features a well-rounded bar program. The 3,500-square foot space boasts a mezzanine, large, central bar, private dining areas and an intimate outdoor patio. Hampton + Hudson is located in Inman Park at 299 N. Highland Ave., Unit L, Atlanta, GA 30307. Hours of operation are Monday through Friday from 11 a.m. to 2:30 a.m., Saturday from 10 a.m. to 2:30 a.m. and Sunday 10 a.m. to midnight. 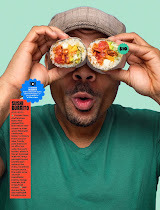 For more on Hampton + Hudson, visit www.hamptonandhudson.com. Stay connected on Twitter at @_HamptonHudson and on Instagram at @HamptonHudson and on Facebook at www.facebook.com/hamptonandhudson.